San Diego, November 20, 2018 - The Argen Corporation, the world’s largest manufacturer of precious dental gold alloys, leader in zirconia manufacturing, and leading innovator of digital dentistry solutions, is proud to announce the release of ArgenZ HT+ Pre-Shaded 98mm discs in the US market. The highly anticipated ArgenZ HT+ Pre-Shaded release introduces 16 VITA Classical Shades, three Bleach shades, and two “Light” A shades to complete the HT+ product line. The material allows dental labs to consistently achieve an accurate shade match. With 45% translucency and 1250MPa, ArgenZ HT+ Pre-Shaded discs are suitable for singles up to full roundhouse, for frames or full contour. “We spent considerable time developing and meticulously testing our pre-shaded HT+ discs to ensure accurate and consistent results. 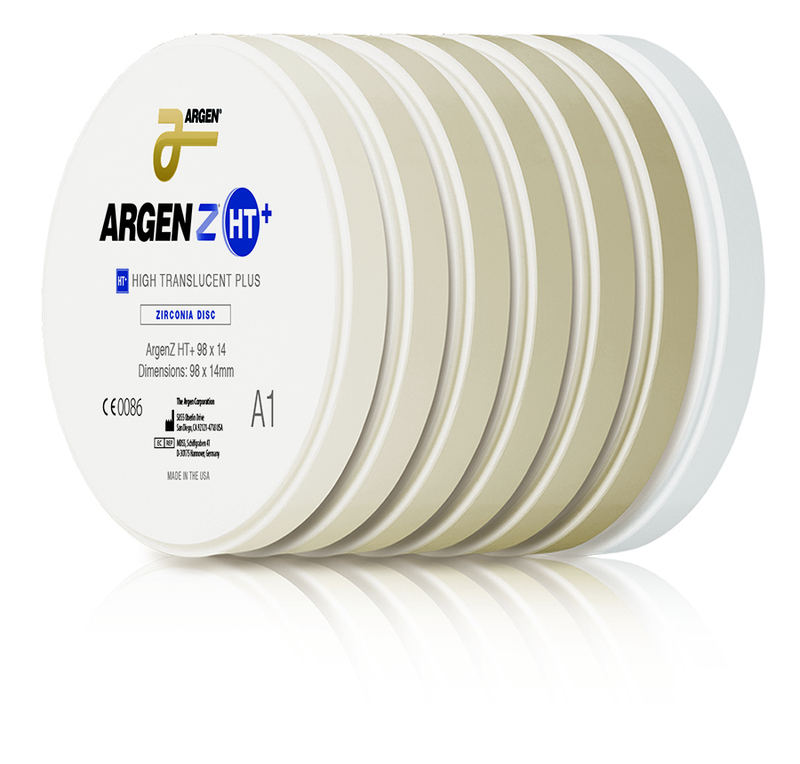 ArgenZ HT+ has been incredibly popular with our customers and we are excited to now offer all 16 VITA Classical Shades and Bleach shades to make shade matching even easier for labs.” said Anton Woolf, CEO of Argen. About Argen: For more than 50 years Argen, a family-owned American company and partner to dental labs worldwide, has served the dental industry and continues to invest in new and innovative product offerings to provide dental labs with affordable, high-performance products and industry-leading customer service.